Onshore-offshore correlation of brittle faults and tectonic lineaments has been undertaken along the SW Barents Sea margin off northern Norway. 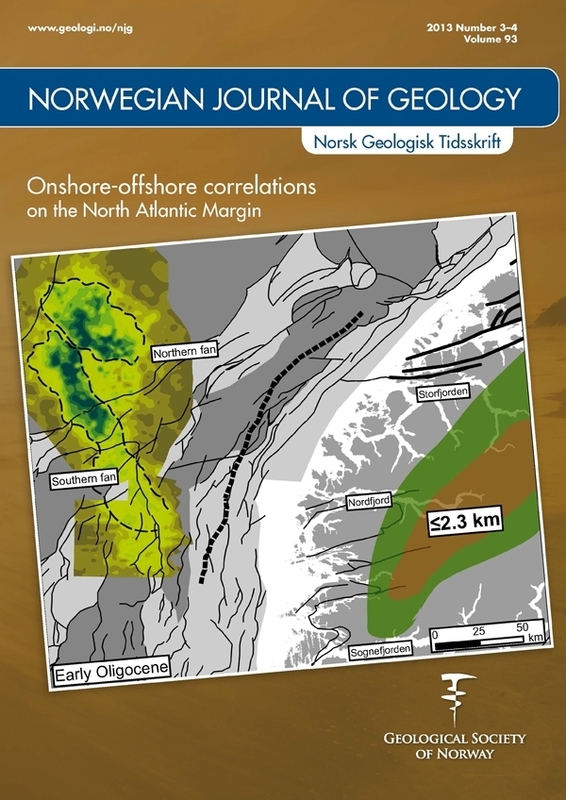 The study has focused on onshore mapping of fault zones, the mapping of offshore fault complexes and associated basins from seismic interpretation, and the linkage of fault complexes onshore and offshore by integrating a high-resolution DEM, covering both onshore and offshore portions of the study area, and processed magnetic anomaly data. This study shows that both onshore and offshore brittle faults manifest themselves mainly as alternating NNE–SSW- and ENE–WSW-trending, steeply to moderately dipping, normal fault zones constituting at least two major NE-SW-trending fault complexes, the Troms-Finnmark and Vestfjorden-Vanna fault complexes. These fault complexes in western Troms bound a major basement horst (the West Troms Basement Complex), run partly onshore and offshore and link up with the offshore Nysleppen and Måsøy fault complexes. Pre-existing structures in the basement, such as foliation, lithological boundaries and ductile shear zones are shown, at least on a local scale, to have exerted a controlling effect on faulting. On a larger scale, at least two major transfer fault zone systems, one along the reactivated Precambrian Senja Shear Belt and the other, the Fugløya transfer zone, accommodate changes in brittle fault polarity along the margin. Our results suggest that distributed rifting during Carboniferous and Late Permian/Early Triassic time was followed by a northwestward localisation of displacement to the Troms–Finnmark and Ringvassøy–Loppa fault complexes during the Late Jurassic/Early Cretaceous, resulting in the formation of a short-tapered, hyperextended margin with final break-up at ~55 Ma. An uplift of the margin and preservation of the West Troms Basement Complex as a basement outlier is suggested to be due to unloading and crustal flexure of the short-tapered margin in the region.